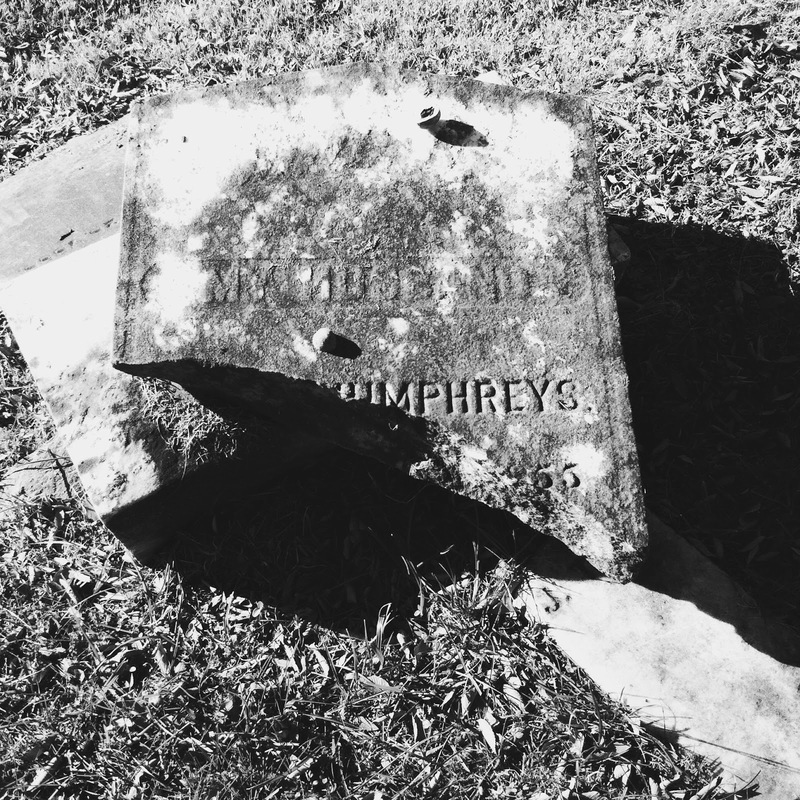 I mentioned Dr. James T. Humphreys in my post on Green Hill’s “Mortuary Mysteries.” At that time, the only thing I knew about him was that he died on November 28, 1888 from “Erysiflas caused by crushed leg” and from the handwriting it looked like Dr. Humphreys was 88 when he died. 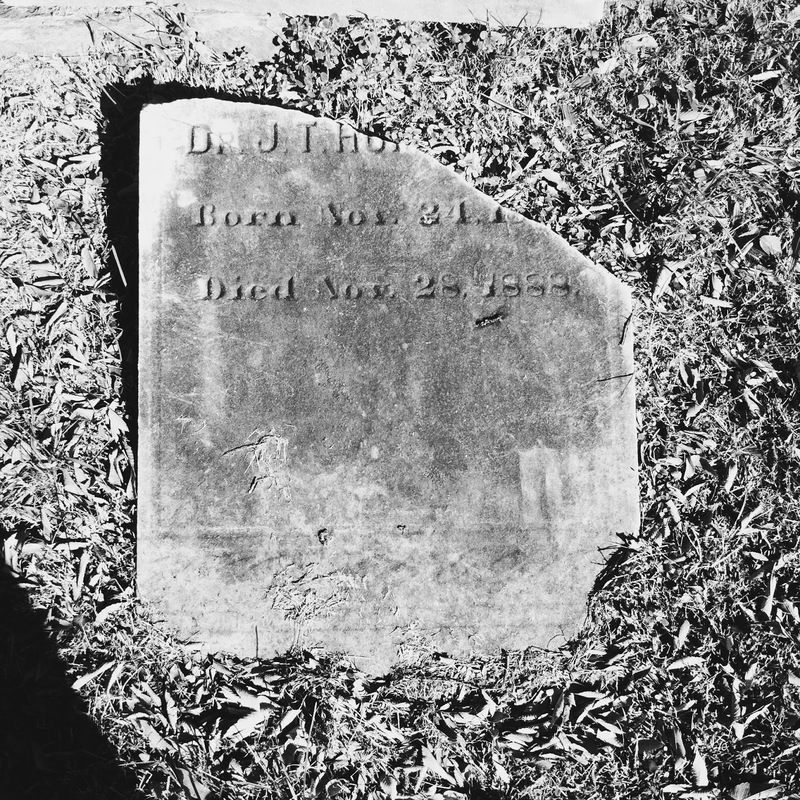 During my last trip to Green Hill in search of interesting epitaphs, familiar names, and a break from everyday “noise” I noticed a broken headstone, with a slab and the base facing one direction on a small embankment and the other piece resting on the downward slope. Walking away I remembered that “Humphreys” was on my list of “names to look for” and returned for a closer look. 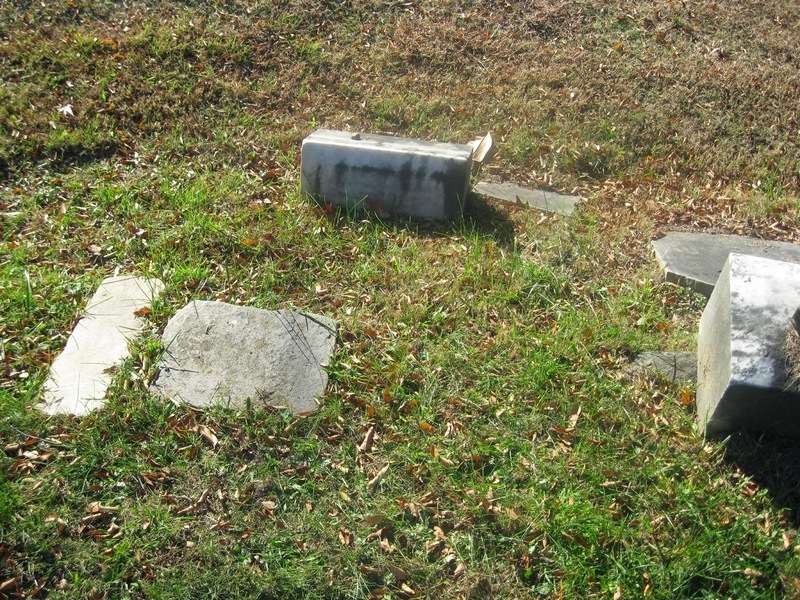 James’ tombstone is at the far right of the color photo. As you can see, the nearby markers are toppled over and the inscriptions weathered away. On my next trip I’ll inspect them more closely. From what I remember, James was buried promiscuously rather than in a family square. Sometime over the next decade James left his family home and attended medical school. 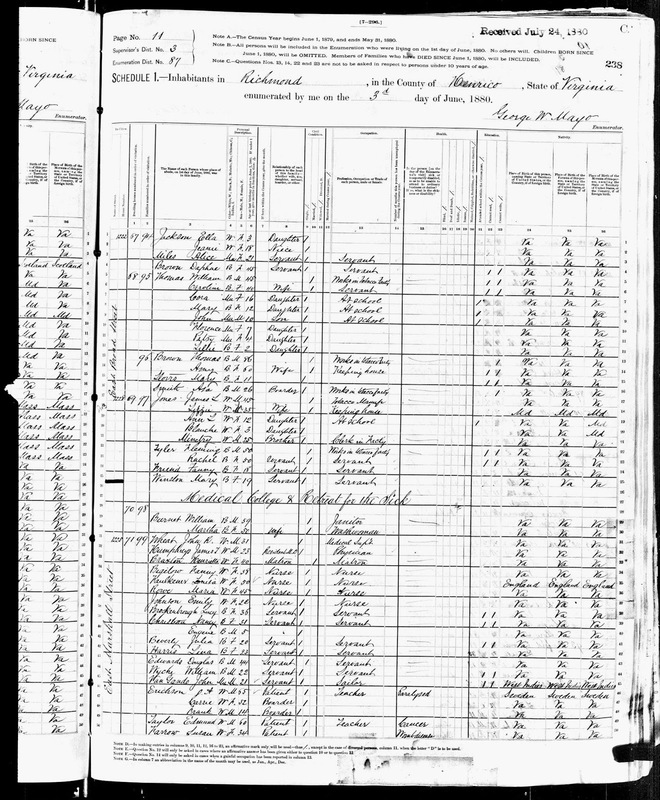 According to the 1880 census, the young doctor lived at the Medical College and Retreat for the Sick at 1225 East Marshall Street in Richmond, Virginia. Other residents at the hospital included a medical superintendent, a janitor, a wash woman, servants, nurses, and patients. James was not married at the time. Sometime between 1880 and 1885 James left Richmond for Danville, Virginia. The earliest record I have of Dr. Humphreys in Danville was October 1885, when his name appeared as the physician who signed a death certificate in the mortuary report, a ledger in which his own name would appear in a few years later. In the 1888 City Directory Dr. Humphreys lived at 864 Green Street and his practice was at 311 Main Street. Based on my research, I believe that Flodo E. Humphreys, who lived at the same address, was James’ younger brother (b. 1868). James left behind a widow but I haven’t been able to find her name or if they had any children. I discovered that Flodo moved back to Richmond within a few years (if not earlier) of his brother’s death, but directory searches from Danville and Richmond yielded nothing useful. I found it odd that I could find no mention of either the circumstances surrounding Dr. Humphreys’ crushed leg or his death, particularly in times where the papers reported the most seemingly trivial accounts of prominent citizens’ lives. It’s possible that I’m just not searching for the right terms, or that I need to try variations on the spellings of names and conditions. There are still plenty of pieces missing from Dr. James Humphreys’ puzzle, but at least he’s less of a mortuary mystery than he was a few months ago.